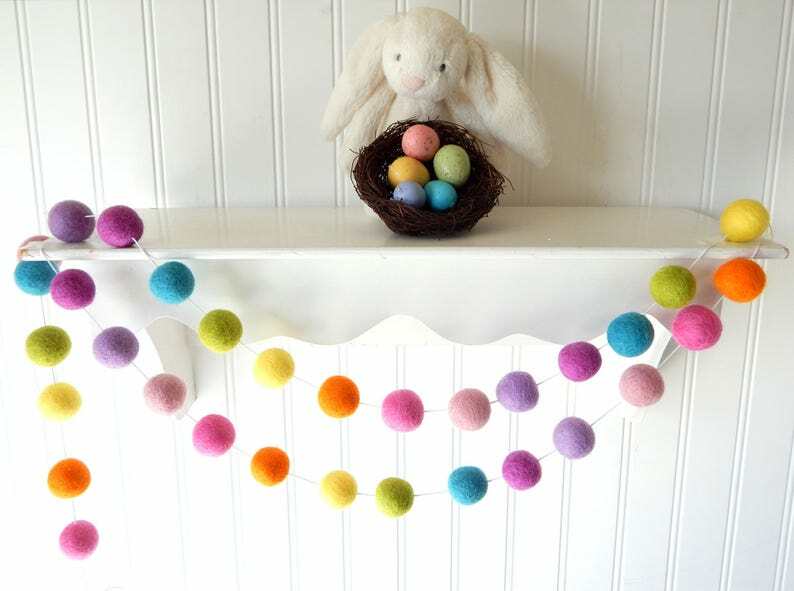 This adorable felt ball garland is made with alternating 3/4 inch cotton candy, melon, daffodil, apple, aqua, mauve, lavender, and baby pink balls and will add a beautiful dash of color to your home or party. 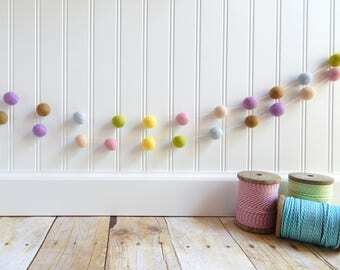 This colorful strand will be the perfect finishing touch to your baby’s nursery, child’s room or playroom. 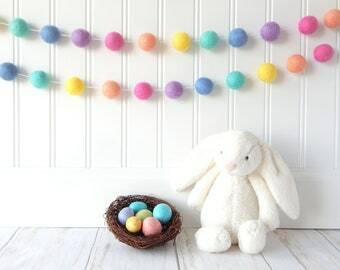 This garland will also make a reusable, eco-friendly decoration for birthday parties or baby showers. This strand is composed of the plumpest 100% wool felt balls strung on strong, but subtle, white cord. Each of these fuzzy balls measures a generous 3/4 of an inch (2 cm). Please note that only the garland is included in this sale, not the other items seen in the photos. Super darling and colorful! Love them.